In recent years, the number of lawsuits filed under the Employee Retirement Income Security Act of 1974 (ERISA) has grown exponentially. So, too, has the typical value of claims asserted in those lawsuits. With the increased risk and expense of litigation, employee benefit plan sponsors and fiduciaries have naturally sought ways to reduce the likelihood that they will be sued and to reduce the expense of claims that can’t be avoided altogether. Traditionally, one way that companies have sought to control litigation risk and expense is through arbitration, which may replace litigation in court when parties to a contract agree to arbitrate disputes arising from their contractual relationship. ERISA allows plan participants, beneficiaries, and fiduciaries to seek several types of relief. This article is concerned with one specific form of relief — monetary relief for losses that are allegedly incurred by an employee benefit plan as a result of fiduciary breach. In ERISA litigation parlance, these claims are brought under ERISA § 502(a)(2). These claims arise when, for example, fiduciaries are alleged to have breached their duty to invest plan assets prudently. ERISA § 502(a)(2) claims are brought for the benefit of the plan as a whole, not for the benefit of the individual participant. The question arises: under what circumstances are those claims susceptible to arbitration, instead of traditional litigation in court? This article addresses the state of the law on this point and offers some thoughts on things that plan sponsors might consider in deciding whether to use arbitration provisions in their employment agreements and/or plan documents. In some cases, employers enter into employment agreements with their employees. Those agreements may include provisions requiring arbitration of employment-related disputes. In Munro v. University of Southern California, 2017 WL 1654075 (C.D. Cal. Mar. 23, 2017), plaintiffs were employees of the University of Southern California (USC), and participants in two USC-sponsored retirement plans. Plaintiffs filed a lawsuit alleging that the committee responsible for overseeing the plans breached its fiduciary duties by imprudently investing the plans’ assets and by allowing the plans to pay allegedly excessive administrative fees. The plaintiffs’ employment agreements with USC included arbitration agreements, and USC asked the court to compel arbitration pursuant to these provisions. 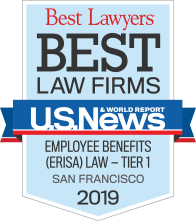 Munro, therefore, precludes enforcement of arbitration clauses in individual employment agreements in ERISA fiduciary breach claims brought for the benefit of ERISA plans, at least in the Ninth Circuit. (Courts in other circuits are not bound by Munro.) But this leaves other issues open. For example, is an arbitration clause contained in a plan document enforceable to require arbitration of claims brought for the benefit of the plan? Decisions in other cases offer some answers, but raise just as many questions. In Dorman v. Charles Schwab & Co., Inc., 2018 WL 467357 (N.D. Cal. Jan. 18, 2018), for instance, a former employee filed a lawsuit on behalf of a plan under ERISA §§ 502(a)(2)-(3). The plan document contained an arbitration clause, which included language waiving participants’ right to proceed via class action. (Class action waivers often accompany arbitration provisions.) The court noted that the arbitration clause had been unilaterally adopted by the plan sponsor / defendant, and held that a plan document drafted by fiduciaries “should not prevent plan participants and beneficiaries from vindicating their rights in court.” The court, however, did not make clear exactly how participants might consent to an arbitration clause in a plan document so as to render the arbitration clause enforceable. The same issue recently arose in Brown v. Wilmington Tr., N.A., 2018 WL 3546186 (S.D. Ohio July 24, 2018). In Brown, a former employee filed a putative class action lawsuit under ERISA on behalf of an employee stock ownership plan in which she had previously been a participant. The defendant moved to compel individual arbitration pursuant to an arbitration clause and class action waiver that was only added to the plan document after the plaintiff had completely cashed out of and ceased all participation in the plan. The defendant argued that “because the breach-of-fiduciary-duty claims belong to the Plan and the Plan has consented to arbitration, it does not matter that plaintiff did not personally agree to arbitrate the claims.” The court, citing to Dorman, rejected this argument on the grounds that the arbitration provision did not bind the plaintiff because it was adopted after the plaintiff had ceased participation in the plan, and after the plaintiff’s claims had accrued. Is Arbitration of ERISA §502(a)(2) Claims Desirable? 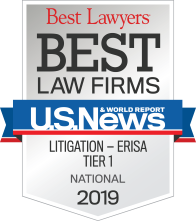 Regardless of how the law surrounding the enforceability of arbitration provisions in ERISA cases ultimately unfolds, plan sponsors should consider the unique characteristics of ERISA litigation when considering whether to adopt and/or seek to enforce arbitration provisions. Almost all ERISA trials take place before federal judges without juries. Federal judges typically maintain strict schedules, and are bound by legal precedent in making decisions. Arbitrators, by contrast, are free to decide the manner in which the proceedings will be conducted, and are less constrained by legal precedent due to the parties’ very limited rights of appeal. Additionally, there is a common perception that some result-oriented arbitrators may be more inclined to “split the baby in half” rather than strictly adhere to the law. Although this perception is certainly up for debate, it might weigh against including arbitration provisions in plan documents and employment agreements. Finally, while class action litigation can be burdensome, it has the advantage of ensuring finality. Even if an employer can compel an individual employee to arbitrate disputes, the employer may end up playing “whack a mole” as additional employee lawsuits spring up relating to the same legal issues, requiring repeated arbitration of the same basic claims, with potentially inconsistent results. Given these considerations, the decision about whether to include arbitration provisions in plan documents — even if they are enforceable — should not be made rashly. 1 USC has indicated that it intends to ask the Supreme Court to review the Ninth Circuit’s decision. It remains to be seen whether the Supreme Court will agree to review the Ninth Circuit’s decision, or whether the Supreme Court will wait until the case law is more developed nationwide at the Circuit level before taking up this issue. 2 The District Court’s decision in Dorman is currently on appeal before the Ninth Circuit.